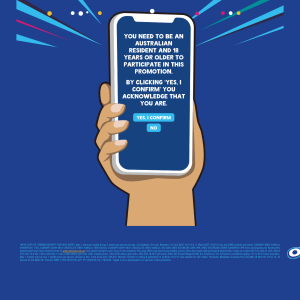 You need to be an Australian resident and 18 years or older to participate in this promotion. visit www.oreocup.com.au (Website) to fully complete the online entry form by providing all details as requested by the Promoter, including uploading a copy of your Qualifying Purchase receipt; and click on submit to finalise your entry and find out if you've won a prize instantly. Promotion entrants will have the opportunity to play the OREO Cup Game for the chance to win an additional weekly prize. Multiple game play is permitted based on a single Qualifying Purchase. You must retain a copy of your itemised receipt to verify each entry (Proof of Purchase). You can enter this promotion up to 3 times per day, provided you only enter once per Qualifying Purchase receipt (even if more than one (1) Participating Product is purchased in the transaction) and each entry is submitted separately in accordance with these Terms and Conditions.